The Costa Rica App - Costa Rica's Mobile app for English speaking residents, tourists & nationals. InCostaRica is a collection of popular & off the-beaten-path recommendations from savvy residents in the top 50 communities throughout Costa Rica. The App uses your location in Costa Rica (or intended destination) to display activities, attractions, and dining locations nearest to you. Find the best sightseeing spots, hidden beaches, free tours, local celebrations, community events and more. Designed for Residents & Visitors to provide significant savings on the things they love to do: dine, shop, travel and play. Costa Rica has it all, find out what’s close to your current location or where you will be staying. Every activity is organized via its GPS location. Often the best dining options are not found in your tour guide or on the main boulevard. Browse options and promotions based on their proximity to you. Phase I of InCostaRica is now Available! Typically ⅕ the cost and boasting some of the best hospitals in Latin America, Costa Rica is a Medical Tourism Destination. Compare Options. Grocery Stores, Pharmacies, Cell Phone Service, Internet Providers, Hardware Stores, Veterinarians and More. Dine, shop, travel and play! InCostaRica Pro Members save up to 50%. Get exclusive savings for the things you love — restaurants, movie tickets, golf, tours, shopping, travel accommodations and more. Display results closest to your current GPS location. Everyday Savings on the items you purchase most. 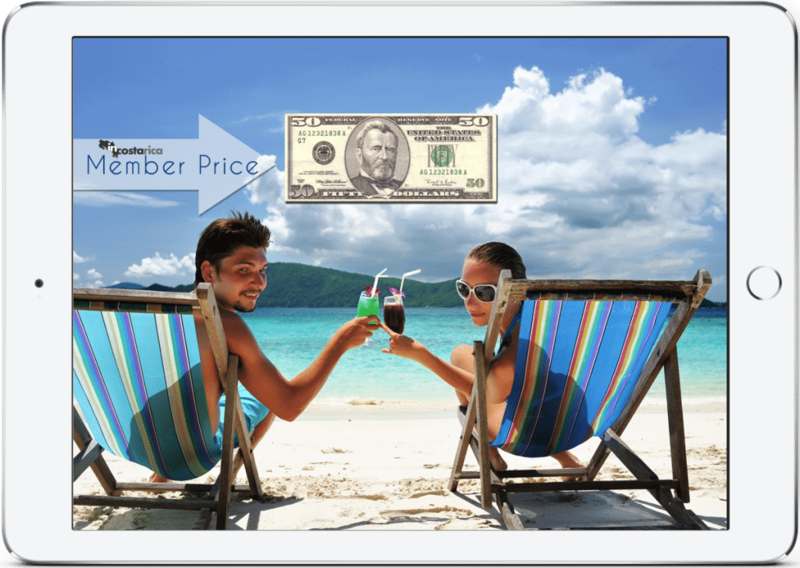 Members Discounts Organized first by proximity to you then by value. Most will tell you that their initial lack of experience resulted in them getting “screwed in every God given orifice” But, it doesn’t have to be this way. You can learn from the experiences of others, and enjoy the peace of mind that comes with getting the best price and have recourse in the event that you feel you have been treated unfairly. just from tourism last year. If you really want to get the most out of Costa Rica, embrace the culture, learn the language and maintain a reverence for the country in which you are a welcomed guest, just as you would hope visitors to your own country would do. Based on studies done in international airports of Costa Rica, the following information was obtained through direct interviews regarding the profile of Non- Residents visiting Costa Rica.